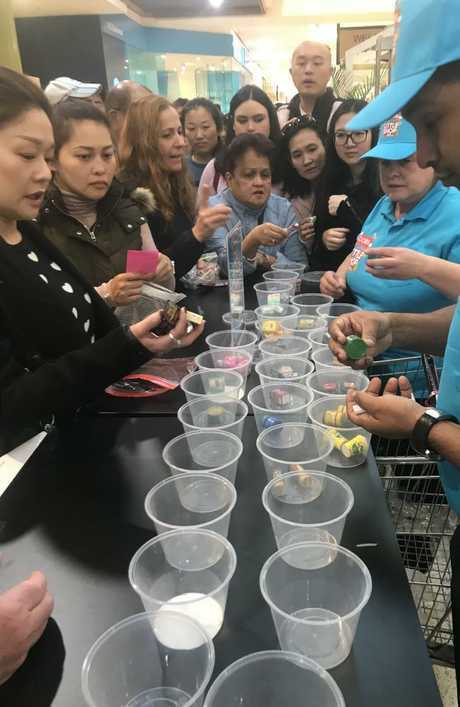 LAST weekend I watched as a crowd worked itself into a lather over a bunch of mini grocery collectibles at the Coles Little Shop Mini swap meet at Burwood in Sydney. They were so excitable that security guards had to herd them back into a queue to stop them blocking other people from their ordinary weekend shop. What was most startling was that the vast majority of the people clutching their tiny White Kings or Huggies nappies were adults. Some had bewildered-looking children in tow, others insisted they were here to swap on behalf of kids at home. But there was a solid cohort - the most wide-eyed and frenzied - who were there to collect these dinky plastic figurines for themselves. If you search for "Coles Mini Collectibles", or words to that effect, on Facebook, you'll find yourself deep in the murky depths of the adult miniature collector - a world of passion, fury and tears. 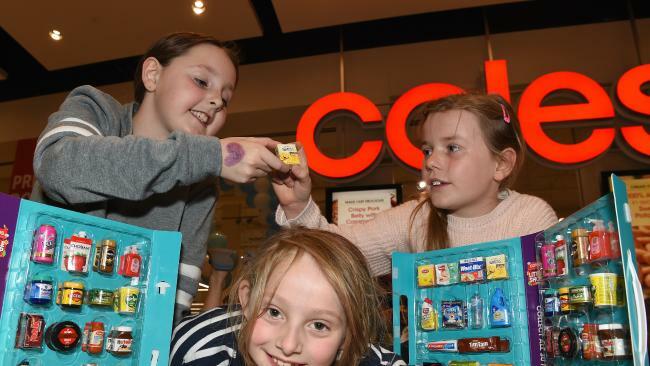 Hundreds of pages with names like "Coles Little Shop - Minis Swap Group Australia" and "Coles Mini Collectibles 2018 Swap and Trade" have been set up by adults to swap and give away the mini figurines. 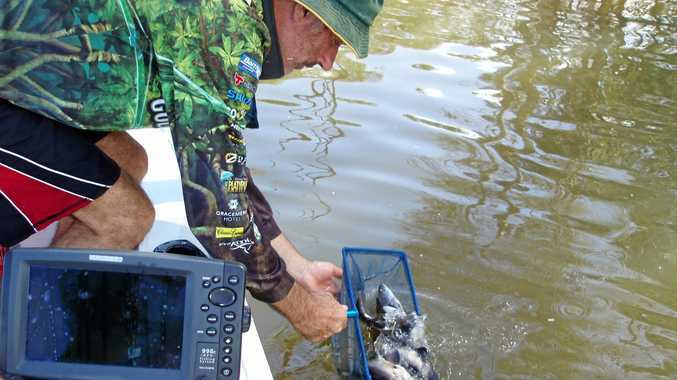 Some have tens of thousands of members. Families have descended into full-scale warfare over miniature jars of Nutella. Adults have prised teeny tiny Weet-Bix and Finish dishwashing liquid out of the hands of toddlers. Grown men and women have flooded Coles' head office with furious emails demanding answers about the supermarket's various shortcomings when it comes to their handling of the promotion. "My sister-in-law just thew a tantrum and locked herself in her room because I forgot to ask for [the minis at the supermarket]," wrote one woman on Facebook. "Good on you Coles for tearing families apart." "I have sent you an inbox!" barked another shopper to the official Coles Facebook page. "I need to know what I need to do to collect my minis as I heard also this ends in a couple of weeks and I still have so many to collect and check-outs are not putting them in the bags once shopped and the store told me to contact u direct …"
Her panicked plea remained unanswered. Also on the Coles Facebook page a mother told a story of a bowl of the minis left at her son's daycare centre so parents could swap their own collections and help the centre build an entire set - for the benefit of the kids. Days later, someone stole the lot. "I can't believe someone would take something the children love so much!" she lamented. 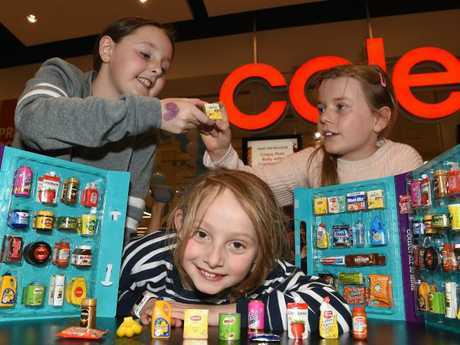 Even after witnessing a bunch of grown men and women act like a bunch of five-year-olds during a game of Pass The Parcel where the supervising adults forgot to 'rig' the game so every child gets a turn, I can't hate you, Coles Mini Shop collectibles. I find something oddly bewitching about your dinky little Mt Franklin water bottles and Chobani yoghurts. Tiny things are cute. Puppies are cuter than dogs. Tiny houses are cuter than McMansions. Kid Macauley Culkin was cuter than adult Macauley Culkin. Plus you get to unwrap them from a little bitty packet and pop them satisfyingly into a carry case and it all feels like a comforting reminder of childhood, when your biggest worry was how you could convince your mum to top up your furry sticker collection at Granny May's. I realise I should know better. They're crap for the environment, they're a cynical ploy to promote multinational brands and we'll forget about them completely once the next bunch of collectable rubbish comes along. But if you look into your heart of hearts, can you honestly say that a mini packet of Tim Tams is anything but adorable? In a world of war, want and wickedness, a little bit of whimsy is good for the soul. Just try to remember to let your kids play with them every so often.